Help, My Teen is Driving (Me Insane)! The day has finally arrived. Your teen's sixteenth birthday is now a reality. Along with this special day comes the highly anticipated privilege of being able to obtain a driver's license. This wonderful opportunity for your teen can be a dreadful reality to you. You can probably already picture your teen driving down the road, blasting music, drinking a soda, and laughing with friends. Or maybe you envision your teen having a heated cell phone discussion while trying to navigate the confusing roads of the downtown area near your home. Either way, none of these scenarios is pleasant for a parent to think about. Your teen's newfound freedom is likely causing a new set of conditions for you: stress, anxiety, fear, and maybe even a headache or two. Set clear rules and expectations with regards to driving. Some obvious ones include: follow the rules of the road, obey curfew, no talking on the phone while driving, always wear your seatbelt, return the car in the same shape as when you left with it, and so on. Some other ideas are: No more than one passenger in the car at a time, pay for your own gas, no food or drink in the car, keep music at a reasonable volume, maintain a clean car (inside and out), and so on. Be sure to enforce consequences when the rules or expectations are not adhered to (removal of driving privileges is probably a good place to start). Promote responsible driving by being a good driver yourself (be a good role-model). If you expect your child to wear seatbelts while riding in the car, then set a good example by doing so yourself. If you typically drive down the road and cuss out every motorist that changes lanes in front of you, then don't be surprised when your teen does the same. Drive responsibly while your teen is in the car, and he or she will likely learn to do the same. 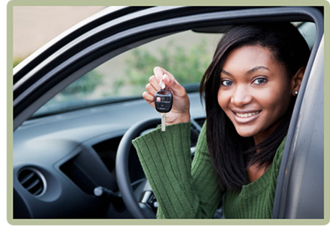 Allow your teen to drive while you are a passenger then provide relevant feedback and/or tips. Point out useful tips like how to back up, parallel park, drive in the rain or snow, pull over for emergency vehicles, what to do when pulled over, etc. This information will certainly come in handy as your teen develops his or her driving habits. Teach your teen proper car maintenance. It is important for your teen to know basic vehicle maintenance such as: changing a flat, keeping up with oil changes, checking for leaks under the car, jump starting a car, changing wiper blades, replacing fuses, checking fluid levels, and so on. Not only can this potentially help your child in the event of an emergency, but it will also help to increase the cars life span. It is also important to have great coverage and Third Party Car Insurance in case of any accidents or damages. Make sure the car is equipped with necessary emergency supplies. Stock your teens car with an emergency kit or set of supplies. Be sure to include the following: a flashlight, jumper cables, basic tools, water, blanket, car jack, functioning spare tire, reflective triangle, and so on. You should be able to find a more thorough list of emergency supplies online. Utilize and enforce a driving contract with your teen (available on this site). Visit our home page and check out the unique set of teen behavior contracts we have available there (including a teen driving contract). These wonderful contracts will help you to set firm limits and clear expectations with regards to driving. There is also a monthly driving/maintenance log that can be downloaded along with your purchase of the teen behavior contracts package. These tips will hopefully provide you with peace of mind as your eager teen begins to test the road.